The best tasting orange for coolder climate? I known about the hybrid "US 119" but I dont have direct experience, I read in some pages that are smaller of commercial oranges and have the bitterness of Poncirus trifoliata is that true? I have a possibility to buy Sun chu Shu , but I dont know nothing about it, the same with variety Morton. Re: The best tasting orange for coolder climate? 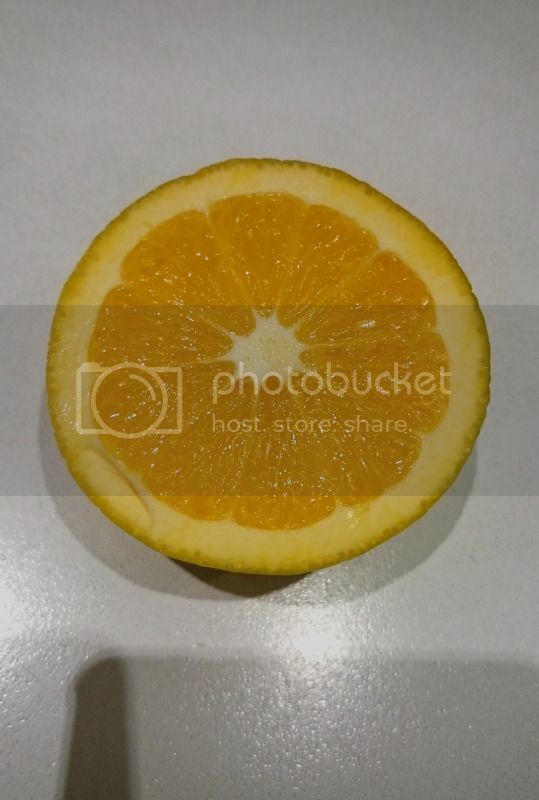 I've seen US 119 fruit at SE citrus forums, didn't get to taste it, but it looked like a regular orange to me in cross section with nice orange/yellow color. I'd be glad to have one. I have s Morton citrange sapling, is cold hardy, and I've seen the large beautiful fruits at citrus forums, but didn't taste it, but did smell a cross section of it, and must say it smelled rather spunky. A grower in AL says it makes a good citrus drink with added sugar. I'm glad to have mine and hope to try the fruit one day. US 119 is a cross of [(Poncirus trifoliata x Citrus paradisi) x Citrus sinensis]. 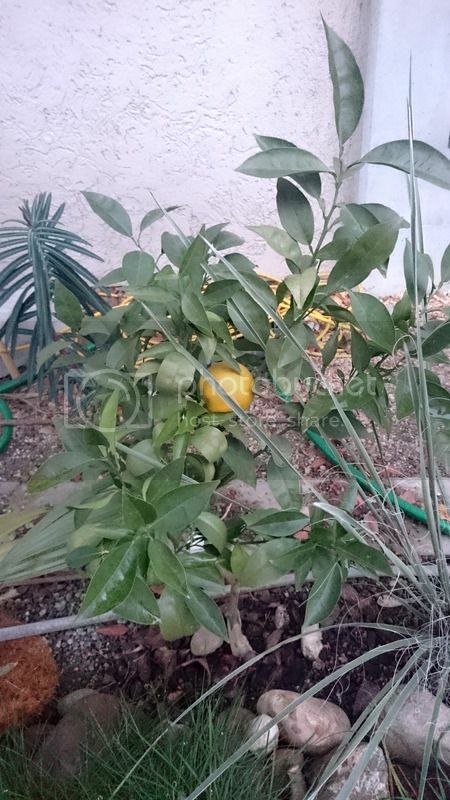 The tree has all three types of citrus leaves, mono and bi, but with trifoliate leaves dominating. The fruit does have a sweet taste to it but with an unpleasant lingering bitter Trifoliate aftertaste. Sun chu Shu I know nothing about. The Morton citrange is a very juicy fruit and is if flavored much like an orange. It is sweet but with strong lingering Trifoliate aftertaste. The juice cannot be diluted to obtain a satisfactory flavor. If you're 8b / 9a you should be able to grow just about any orange. You just want to get early ripening types if you don't want to protect the fruit. Hamlin is a great variety as is the Washington navel. US 119 is nasty if you ask me. Yes, but I m afraid of losting plants if I plant "common" oranges . 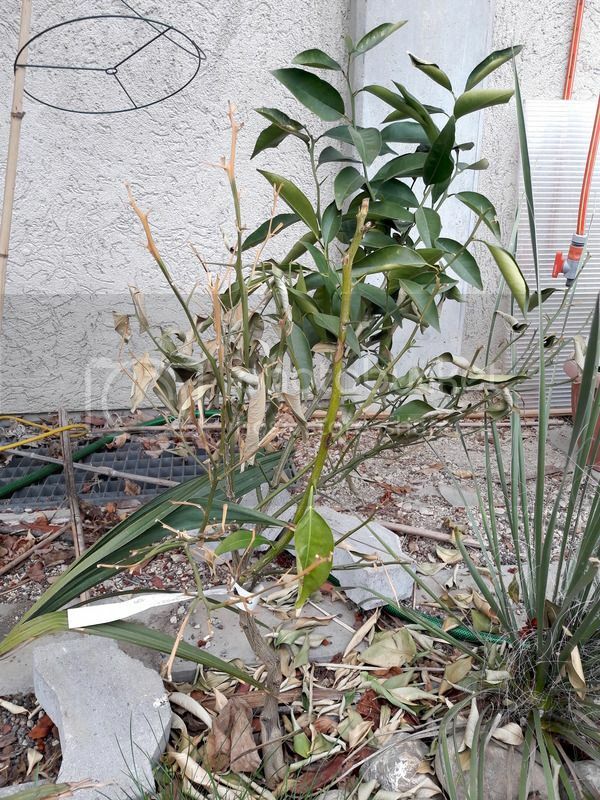 With varieties like Morton, US 119 I will be safe , the place where can i put the plants are in sunny position with some protection of house and on the left side of palms. If i recall correctly US119 could have some problems with fruit splitting, but i'm unsure. Second Hamlin and navel oranges best chance for your zone. Going to 27 f/-3c in a couple of days from now. The hamlin will be unprotected. I have one that has survived -7c. The trifoliate bitterness in US119 is mostly in the pith and the sheaths around each segment,if you individually peel each segment or gently juice it, it is of acceptable quality with just a very slight astringency. I enjoyed it, but it takes more time to eat one. Morton has too much trifoliate bitterness even if segments are peeled. I would suggest Owari satsuma or Ambersweet if you can find them. Ambersweet is almost as cold hardy as satsuma,it is actually a tangelo. Ambersweet lost all leaves and wood smaller than a finger diameter at those temperatures but ripened early before the freezes. Satsuma lost leaves at -6.6 C and branches smaller than a pencil at -7.8 C.
Changsha tangerine will take -10C or colder with little damage and has good flavor and juice but the fruit is 30-50% seeds. Meiwa kumquats are wonderful and are about as hardy as satsuma but grow very slowly so are slow to recover from damage. Meiwa is a must have in any cold hardy citrus collection. Ambersweet has much more vigor than satsuma so makes a larger tree even though it is more susceptible to freeze damage. Orlando tangelo is slightly more cold hardy than an orange but of similar size and eating quality. 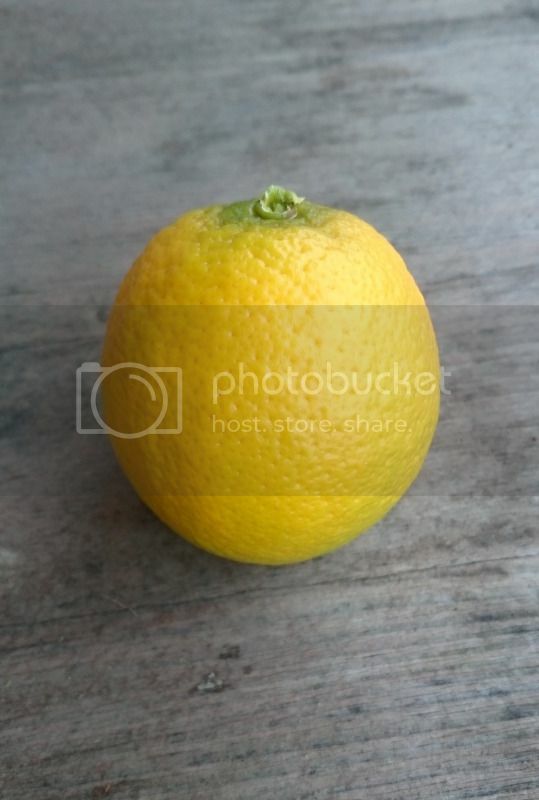 This website has some information about some other hardy citrus but does not ship overseas. Supposedly Republic of Texas Orange is one of the hardiest if not THE hardiest true oranges. A bit late but my Citrus ichangensis x sinensis is quite promising. It took -8C several times with no damage last winter (15/16). This winter freezes lasted much longer and the mean temperature in January was only -3C with lows of around -10 C. The little tree (about 50-60cm) lost 3/4 of its leaves and some younger twigs. I am very surprised it is still alive. It seems that not the absolute low but the very long freezes were what got it. I think its hardiness could be similar to yuzu, perhaps a bit less. I have only had one fruit which wasn't the full size but the taste was quite good. No off flavours, juicy and sweet just like an orange. It had no seeds but I know they can have a few. The only drawback would perhaps be availability for non-europeans. Still, I wanted to share my experiences. The fruit was on the inground plant? Is it early ripening variety? Ilya, my fruit wasn't quite ripe by the end of the year but I think the first fruit isn't representative. Also, the spot where it is planted could be a bit sunnier but I am quite short of space actually. Apparently, they ripen in December in Ticino. The fruit weighed 108g and measured about 5-6cm. So, not very large but I think as the tree grows larger so might the fruit. Thank you, very nice looking fruit. Hope your plant will survive, at least one branch seems not much affected. Oh, it will. It has started to grow new leaves even where there are no leaves and where it looks half-dead. I reckon about 1/4 to 1/3 of the branches are really dead. Those yellow/brown branches are dead. Skaggs Bonanza or just plant a Mandarin. Has anyone experience with the hardiness of the "Republic of Texas Orange" ? While it's a little off-topic, I just want to say that Valencia is the best tasting orange in a warmer climate with lots of heat. Juicy, very flavorful, perfect tartness yet very sweet at the same time. No question about it, Valencia is the best orange for making orange juice. Grown in cooler climates however, they tend to be a bit insipid and their flavor doesn't hold up against a Washington Navel. Mikkel, contact John Panzaella in Lake Jackson Texas. John grows and sells the Republic of Texas orange. He can tell you a lot of information about the orange including its cold hardiness.